What is Mining? Get the definition here. Mining is defined as the process of using computer power to solve a complex math problem, review and verify information, and create a new recording to be added to the blockchain. To be eligible to participate, users are required to have a computer that can run the blockchain program. These people are known as “miners”. Miners compete with their computers to solve a math problem presented by the crypto system. The first miner to solve this problem creates a new block. Information is reviewed and verified as correct then added to the block. The block is added to the blockchain and this updated copy is distributed to other miners. 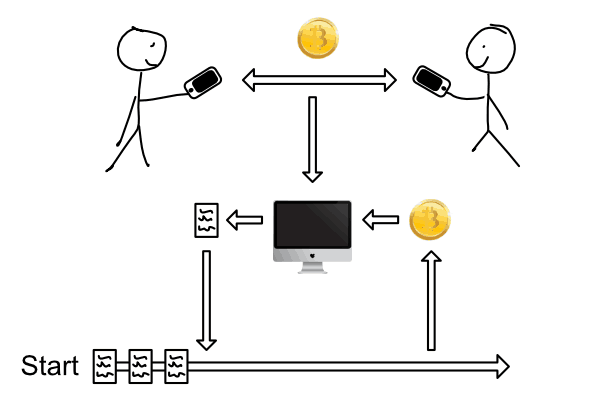 This process earns miners a reward in transaction fees paid by each user for their transactions and sometimes brand new, virgin coins. Miners often purchase very expensive, specially designed computers to increase their chances of solving the math problem first and pay massive electricity bills to power their computers. See minting for more information.